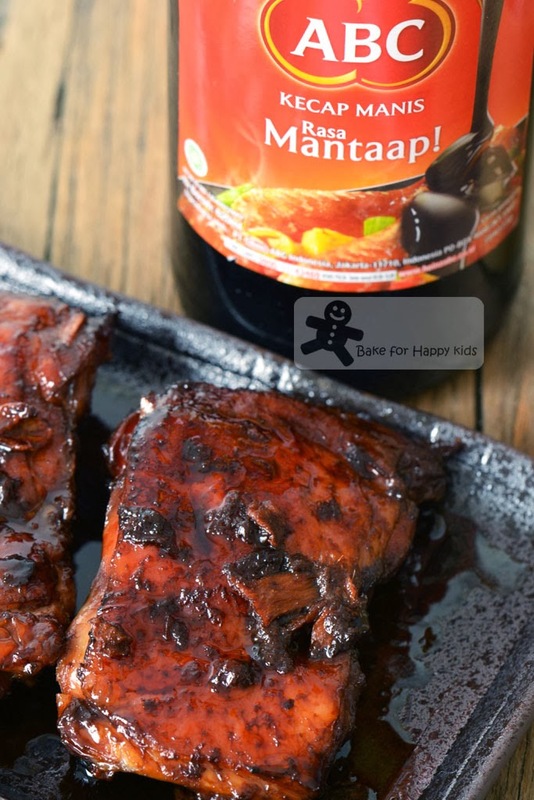 Instead of fish, I'm cooking Barefoot Contessa's inspired kecap manis chicken in this post. To grill these chicken is extremely easy... All I have to do is to marinate the chicken overnight, place everything in the oven and bake. Nice and easy! Ultimately, we like to enjoy these fully-flavoured chicken with Es Alpukat. Es Alpukat? It is a thick and creamy ice-blended coffee avocado milky drink. Es Alpukat remind me of the funny nights that my friends and I had in our Indonesia trip. We were chasing each other along the corridors and having pillow fights in our rooms. Please don't misunderstand us... We are truly the "innocent" late 80s kind of convent school teenage girls and don't consume any alcohol or drugs. Now recalling back, I can't help to think our extra-rowdiness is due to the excessive caffeine in the Es Alpukat that we had... LOL! 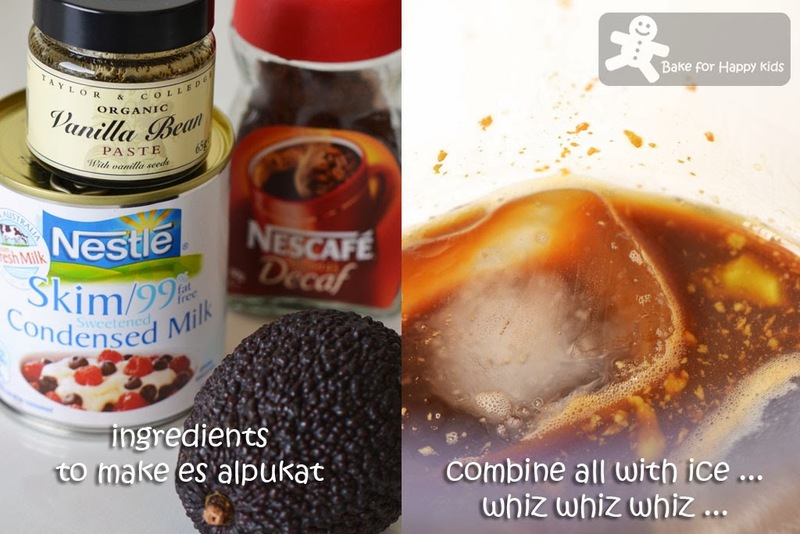 ... and this is the special ingredient that make Es Alpukat extra creamy and yummy! Instead of marinating chicken in baking trays, I marinated them in zip lock bags for easier storage. ... just bake, flip and grill! 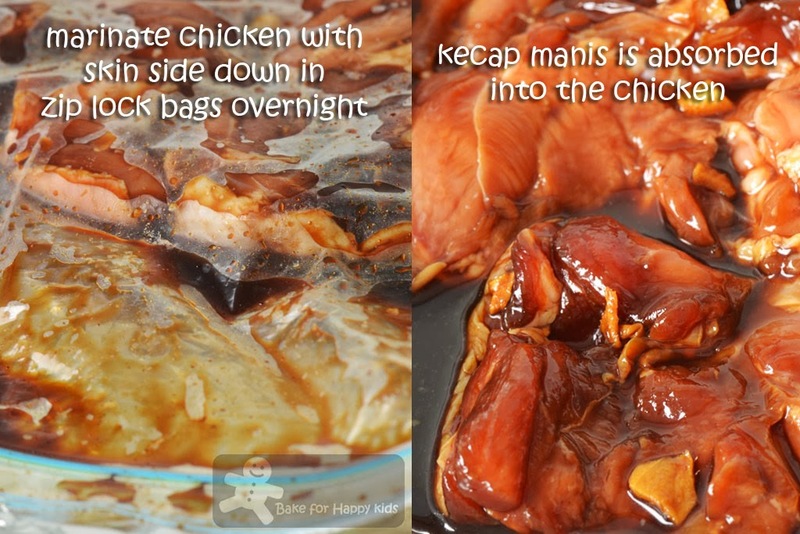 Kecap manis chicken is ready! Cook the honey, soy sauce, garlic, and ginger root in a small saucepan over low heat until the honey is melted - I skipped this step. Arrange the chicken in one layer in a shallow baking pan (or zip lock bags), skin side down, and pour on the sauce. Cover the pan tightly with aluminum foil. Marinate overnight in the refrigerator. 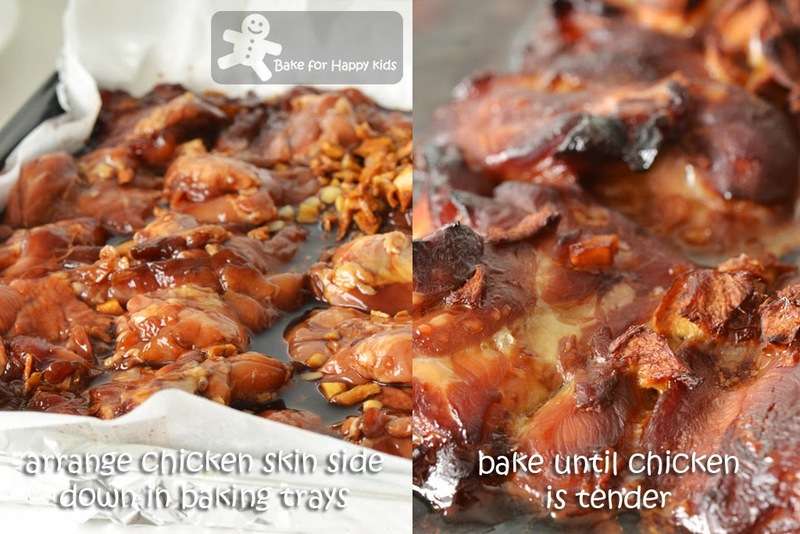 If you marinate chicken in zip lock bags, arrange chicken with skin side down with marinating sauce in two aluminium and baking paper lined baking trays. Place the baking pan in the oven and bake for 30 mins - but I baked mine uncovered for 60 mins. 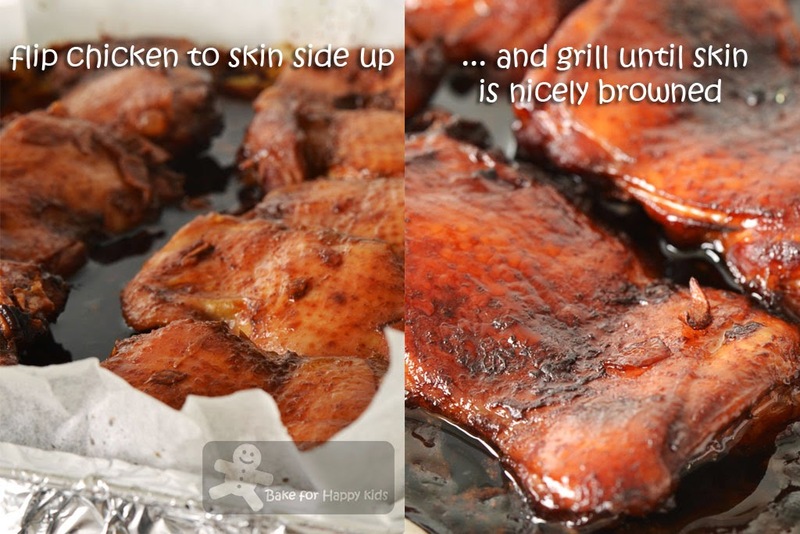 Uncover the pan, turn the chicken skin side up, and raise the temperature to 375°F or 170°C fan forced with grill. Continue baking for 30 mins or until the juices run clear when you cut between a leg and thigh and the sauce is a rich, dark brown - I did mine for 15 mins or until skin grills to a rich brown colour. 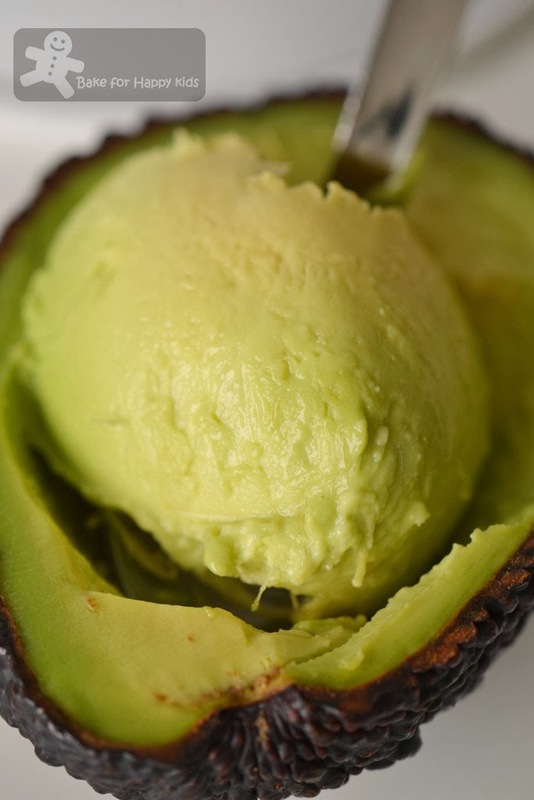 Scoop avocado flesh into a blender, then purée with remaining ingredients until completely smooth, about 1 min. Note: Using half of the recipe, I have made two miniature serves of smoothies as shown in my pictures. Ahhhh, where is your boy's thumbs up? Keke.. Oohh, I love savoury recipes.. Especially grilled chicken.. Your chicken looks sweet, juicy, complete with sticky goodness, oh my! 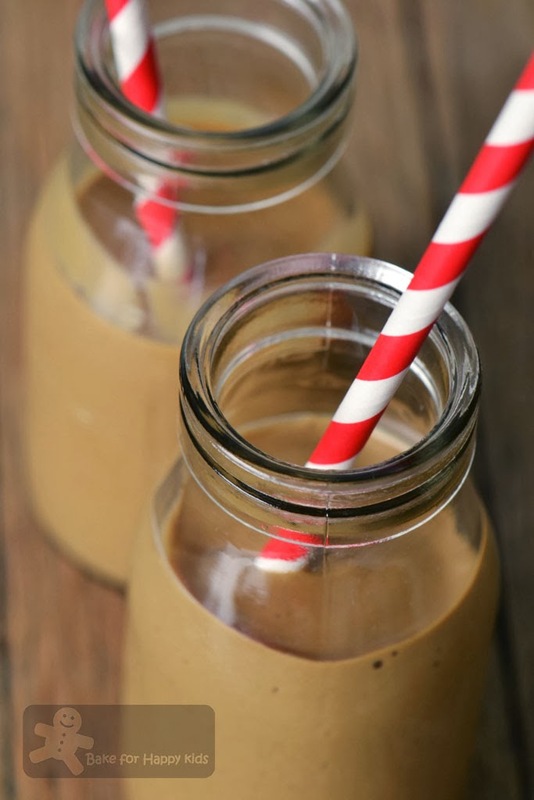 And your avocado ice blended with coffee is refreshing too, bet one glass is never enuff ! i love the avocado coffee drink so much... looks so good... definitely would love to try it when i get my hands on a ripe avocado! This brand Kecap Manis is my favourite kecap too. Just drool looking at your chicken and I am sure it is very delicious! How come this post your son didn't give you the thumbs up? Ok, I will give you two then eventhough I have yet to taste it !! First of all, my mouth us watering! It's so interesting that Eastern cultures often serve ice coffee with savory dishes. I'm familiar w some Indonesian treats like soto ayam and rendang(my fav). The chicken looks super delicious, my boy said yum yum when he saw it . Must try! Zoe, lucky you! I never got to go anywhere when I was 15 LOL! This chicken dish sounds like a dish I would enjoy very much. And yes, that avocado drink is to die for! Wow, this chicken dish looks so tasty! 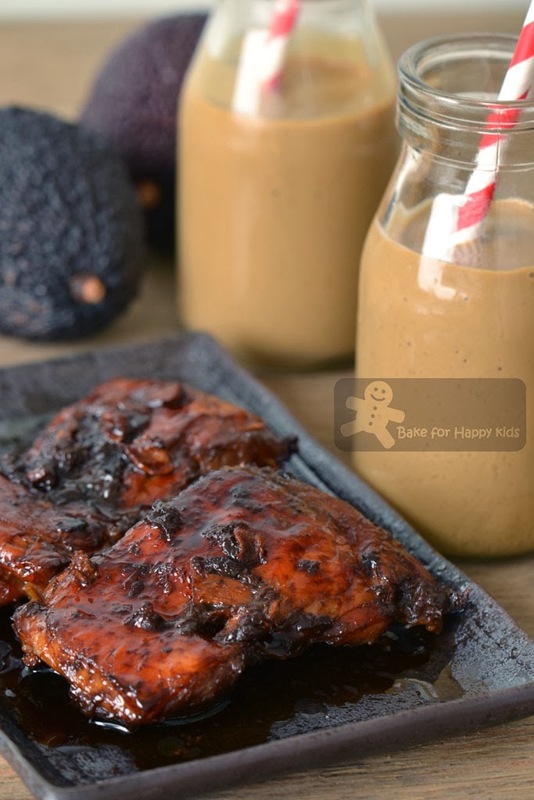 Love the sound of the sauce here - it looks mouthwatering! I love kecap manis in mee goreng and nasi goreng too.... so yummy. And avocado drinks are soooo very good too! Oh Zoe, I'm drooling...both food and drink look super yummy! Hi Zoe, I have travelled far and wide but have never been to Indonesia, not even to Bali or Batam. I love to have a sip of that drink even though I am a non coffee drinker. yumm love that chicken! !, Have never visited Indonesia. Rather unusual combination coffee and avocado . Zoe, so you were from Convent school?Shake hand shake hand, hahaha! 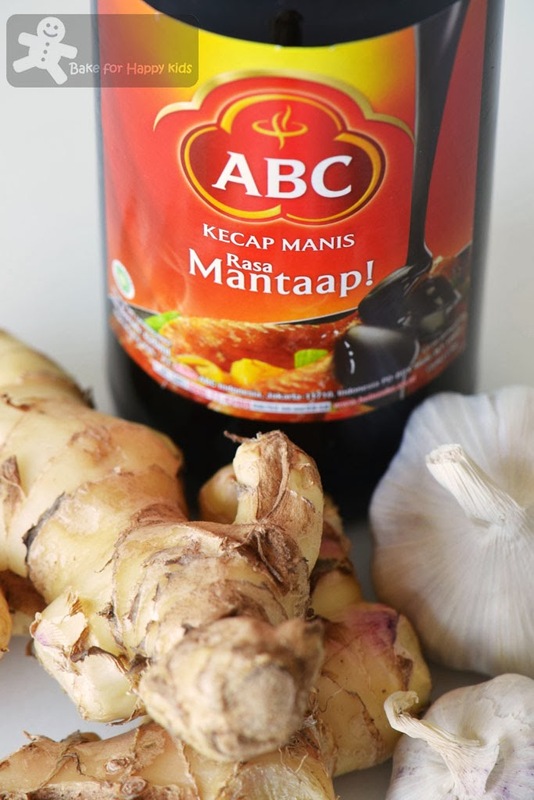 I have a bottle of ABC kecap manis at home. Like your chicken dish, looks so delicious. On the other hand, I like coffee, I live avocado but I'm not so sure about the milkshake. I know that avocado milkshake is a popular drink on Vietnamese menu but no gut to try b4, yeah, i'm a coward, hehe. Lucky you, get to travel "the world" at 15! Haha! My first and only trip to Indonesia was Lake Toba, Medan. And I cannot remember much about the food. 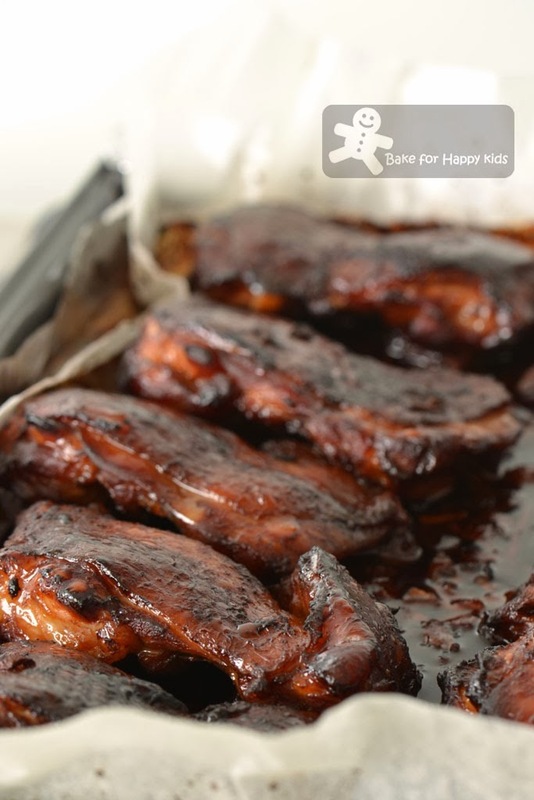 These chicken looks finger licking good, so sticky and yummy! We were all young and rowdy once -- what great times we had! I've not had this dish, and it looks totally delish. Thanks for introducing me to it. Oh my word! This is great! I love to cook and eat Indonesian. I have been looking for a good chicken recipe and this is it! I tried a different spice paste version, with no kekap and I did not like it. So I am delighted to try this. After some tortuous math conversions, I believe I have cut it in 1/2. Your story was delightful and I appreciate the recipe!